New Dominion Bookshop in Charlottesville will host a book reading and signing with young adult novelist Sharon Myrick on Saturday, Oct. 20, from 4:00 PM to 5:00 PM. Myrick will be reading from her YA novel, School Tales. Refreshments will be provided. This event is free to attend. About the book: School Tales is a lively rendering of what’s wrong, and what could be right, about high school. Five spunky teenagers tell their stories of school’s powerful agency to influence deliberation of fundamental questions: Who am I? What do I want to learn? Am I able to direct my life? Can I trust friends to be there for me? About the author: Sharon Myrick grew up in the Deep South and spent her adolescence trying to figure out why she was not the image of a southern belle. School was no help in understanding that problem or any other, until a college professor finally taught her to think. After doctoral work in education, Sharon’s passion for eighteen years became teaching at every level, from preschool through college. Her work managing community educational programs for thirteen years showed her the “it takes a village” approach to change. 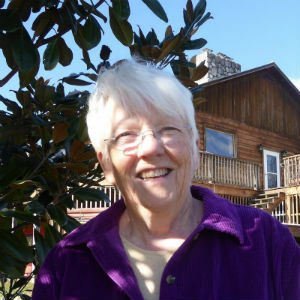 Now, from her Virginia mountain cabin, Sharon helps manage schooltaleslive.com, where youth speak about their needs and ways high school could help them.